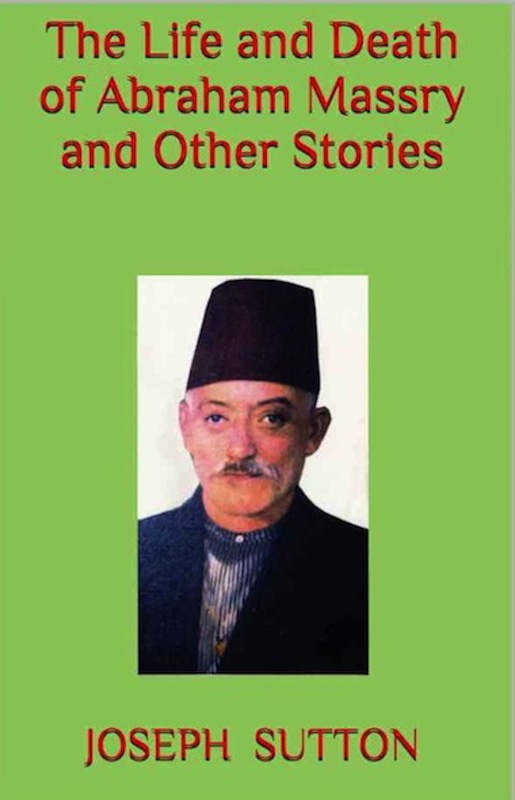 This collection of 11 short stories deals with author Joseph Sutton’s Syrian Jewish background. The title story, “The Life and Death of Abraham Massry,” is about a Jewish immigrant from Syria who wants his American-born son Jake to follow the business and marriage path taken by him and his ancestors, except Jake shows the true calling of America by blazing his own trail. There are stories about Jake growing up in the wide open spaces of Los Angeles as compared to Brooklyn where most of the Syrian Jews live and who still cling to the religious and cultural customs of the past. Other stories in this collection include “At the Store,” “Hebrew Lessons,” “Bar Mitzvah Boy,” “Syrian Jewish Football,” “A Double-Edged Sword” and more. Come and enjoy Jake Massry’s Syrian Jewish experiences from boyhood to manhood. A few years ago, my cousin Ben Massry and I were guest speakers at a Middle Eastern event at San Francisco State University. We talked about what it was to be a Syrian Jew in America. My story was that I grew up in Los Angeles. The Syrian Jews of Los Angeles were a very small community compared to the very large community in the New York metropolitan area, where it’s estimated that between 75,000 and 100,000 Syrian Jews live. My parents lived for many years in Brooklyn’s Syrian Jewish community before moving to L.A. in 1941 when I was a year old. While growing up, I wasn’t known as a Syrian Jew outside of my house. I was known only as an American or a Jew. No one in the L.A. public schools I attended knew about Sephardic/Syrian Jews. They thought, just like most people think, that if a person’s ancestors lived in the Middle East, then that person was an Arab. Everyone in my circle of friends thought Ashkenazi/European Jews were the only Jews in the world. Later, when I first met my wife, who is of Ashkenazi descent, she didn’t know that Syrian Jews even existed. Religion is very important to Syrian Jews. My father prayed six mornings a week with phylacteries (two small leather boxes containing quotations on parchment from the Hebrew Scriptures, one of which is strapped to the forehead and the other to the left arm). My father wanted all six of his sons to follow this ritual, but only one of us carried out his wish. The two Jewish holidays of Rosh Hashana and Yom Kippur were the only times my family attended synagogue, where the men and women always sat separately. A big part of Syrian Jewish culture is food. We never ate in a restaurant as a family because my parents would eat only kosher meat. My mother kept a kosher kitchen, meaning one set of dishes for dairy and the other set for meat. She cooked Arabic food at least once a week, especially on Friday nights. Before dinner was served on Friday, my father, Abraham Massry, would say a short prayer in Hebrew, take a sip from a wine glass filled with Manischewitz, pass the glass to my mother, who in turn would pass it to the eldest of my five brothers, and so on down the line. After we all had a sip of wine, we six boys would kiss our mother and father on the cheek and shake each other’s hand, saying, “Shabbat Shalom (A peaceful Sabbath to you).” My mother would serve diced potatoes roasted with a large chicken and its juices in a large pot, she would serve rice, salad and a Middle Eastern dish such as kibbeh (an egg-shaped crust of cracked wheat stuffed with ground beef, pine nuts and spices) or mehshi (zucchini stuffed with rice, ground beef and spices). My father wanted all six of his sons to follow him in his retail linen business because that’s what Syrian Jewish tradition prescribed. Thank goodness my oldest brother Charles broke from the mold. He took up journalism at UCLA and eventually became a noted columnist for the Long Beach Press Telegram. Charles, in his own way, was saying, “This is America. I want to blaze my own trail instead of following tradition.” Because he led the way for me, I too followed my own path and became a high school teacher and later turned to writing. My father succeeded in recruiting only two of my brothers to join him in his business. My parents spoke Arabic between themselves and other Syrian Jews in the Los Angeles community. My brothers and I never learned the language. We were Americans; we didn’t need to learn the language of the old country. We had no idea what our parents were talking about except when they got mad at us or complimented us. When my parents threw a party, Arabic food was always served, and couples danced Middle Eastern style to Middle Eastern music. The women would do a semi-belly dance as their husbands danced around them twirling handkerchiefs above their heads. From what I hear, things haven’t changed much in Brooklyn’s huge Syrian Jewish community. Although more of the young are entering college and becoming professionals, they return to the community and are as orthodox and fundamentalist as their elders. Ben was right when he said that college makes one stray from the traditions of the community. All my brothers and I attended college. We didn’t go back to Brooklyn to find a Syrian Jewish spouse like many of Los Angeles’ Syrian Jews did. In fact, three of my brothers married non-Jews and three of us married Ashkenazi Jews. Our mother and father didn’t accept the non-Jews into the family at the beginning, but eventually, reluctantly, they gave in. As a result of distancing myself from the Syrian Jewish community, my son never really got to know what it was like to be a Syrian Jew. I never taught him much about our customs other than naming the first son after the father’s father or the first daughter after the father’s mother. Naming my son after my father—with my wife’s blessing, of course—happens to be my favorite Syrian Jewish custom of all. The further removed we are from our roots, the less culture and tradition we carry with us. I’m a perfect example of this. My wife and I do not cook Arabic food. We rarely go to Arabic restaurants and we rarely listen to Arabic music. We don’t say a short prayer before a Sabbath meal and we don’t go to a synagogue, although we used to do both when our son was growing up. I’ve lost almost all contact with the culture that nurtured me. My son has only an inkling of that culture through his inherited name and how he fondly remembers the delicious Middle Eastern food my mother used to serve him when we visited Los Angeles. His children will know even less, if anything at all, about their Syrian Jewish origins, which is sad in a way. I remember an Iranian Jewish man at the event. He made an impassioned plea for all Middle Eastern Jews to preserve and continue the religion, culture and traditions that they grew up with. My immigrant father and my American-born Syrian Jewish mother felt the same way.